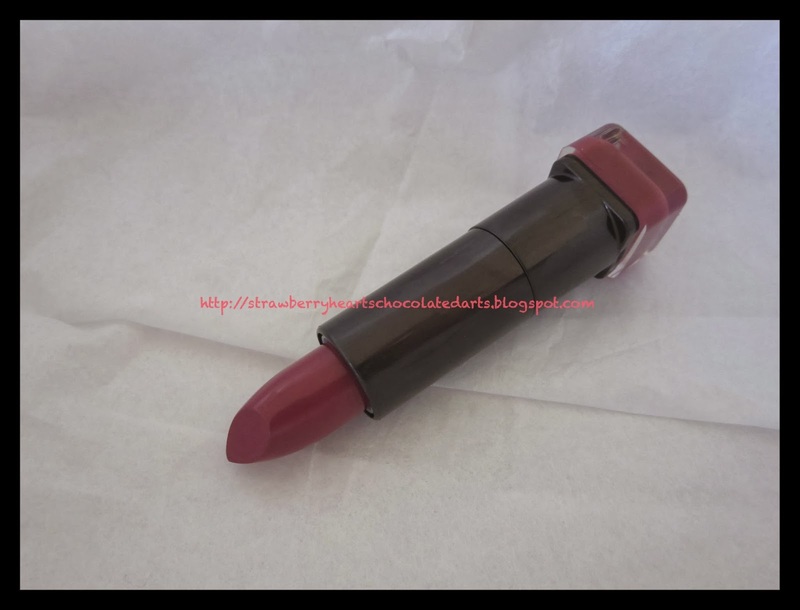 Today, I am sharing with y'all a new Lip Perfection Lip Color from the COVERGIRL Bombshell Collection. The collection comes with four new shades. 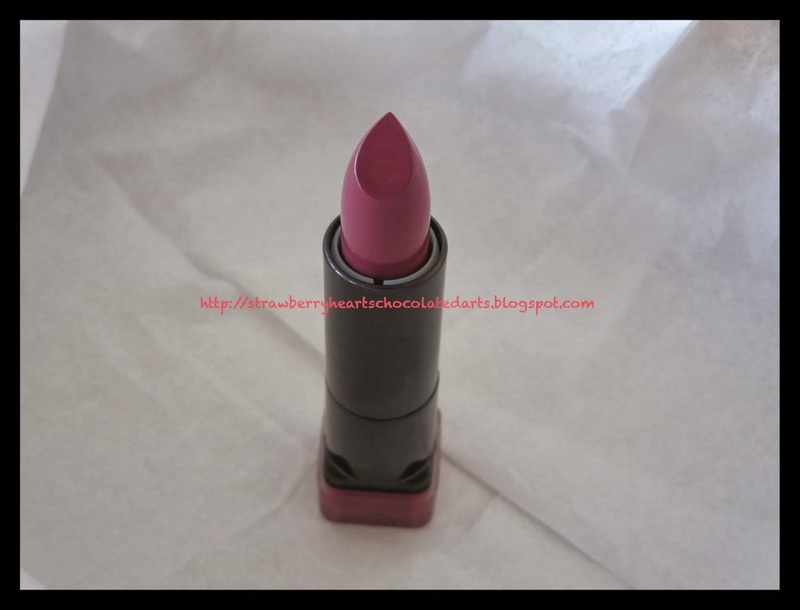 So far I purchased the shade Ravish and plan to get Tantalize as well. The only reason I have not picked up Tantalize yet is because when I looked at the bottom colored demo part of the packaging, I saw shimmer and am assumed that the shade will have shimmer and not be a pure creme. I have been searching endlessly for swatches on these new Bombshell lip colors, but have found none for Ravish or Tantalize. I was not drawn by the two other shades: Seduce (red) and Bombshell (hot fuchsia pink). Some beauty bloggers have implied (unknowingly) that Delicious, Honeyed, and Creme lip colors are also from this Bombshell collection, but they are instead from a second new collection for Spring 2014 called Pastelicious. The displays are different for the two collections. I have also heard that these shades will become permanent as some found them displayed along with other permanent lipsticks, so don't fret if some of you have not come across the Bombshell or Pastelicious displays. I will be posting a review on Delicious soon as well! I purchased Ravish at Target for $5.69. It was marked down from $5.99. I have spotted the Bombshell displays at most stores by now: Walmart, Meijer, ULTA, and Walgreens. However, I haven't seen it at my local CVS yet. The packaging is decent. I do like the squared shape more than the rounded shape because the lipstick can stand or sit properly without rolling away. I may have mentioned in the past that I like rounded lipstick tubes more than squared. I would like either as long as the tube is slender, lightweight, stable, finger-print resistant (hmm... tech-y I know! ), and a fun color or with a festive design. I think I really like the rosy chrome packaging with the color demo bottom. I might like this packaging more than any other drugstore lipstick (considering only lipstick, not liquid lipsticks / glosses) packaging with the exception of the Maybelline "Buffs" Color Sensational lipsticks. 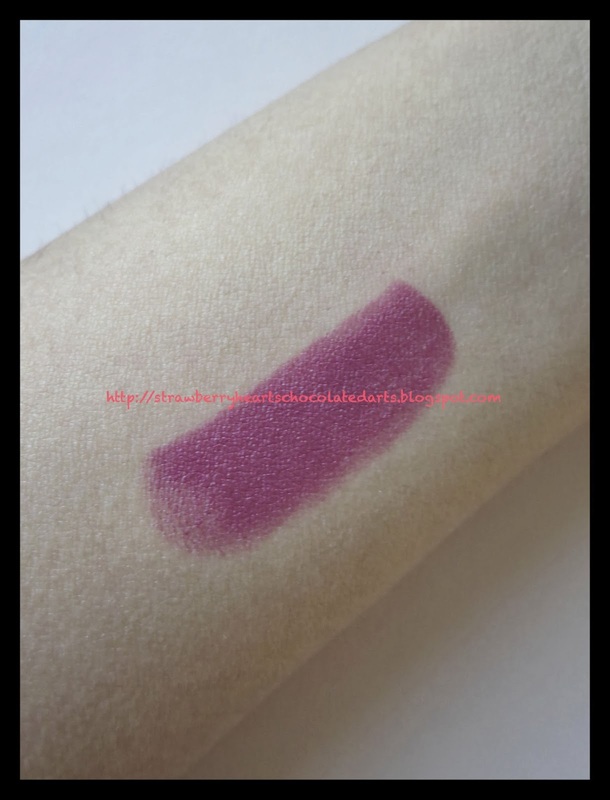 Based on the arm swatch, I would describe this shade as a medium raspberry reddish pink. On my lips it does not look as red toned. I am loving this color. It is another unique addition to my collection. I own a lot deep reds, warm neutrals, and pinky-mauves, but nothing like this. I am becoming pretty adventurous with my lip color shades lately. Yay! This definitely does not have yellow or warm undertones. This is a neutral to slightly blue toned, but not so blue toned that it is cool toned. I say neutral because it is neither warm nor cool toned in my opinion, meaning I think this shade would look flattering on girls with a variety of complexions from fair to medium to tan. Personally, I would not recommend this shade to my friends with deep to dark skin-tones, but it does not matter what I think as long as you feel that it will look nice on you. Fortunately, COVERGIRL carries a wide range of colors, including the Queen collection, which includes a variety of shades for women of color. One of my best friends has ebony skin-tone and I know she would not like this color for herself. I would recommend a brighter version of this shade for her. I am certainly not a certified makeup artist, so my recommendations are solely based on learning experiences. Once I am done with law school, I would definitely like to take a short course and learn about shades - what works, what does not, and how to make them work. 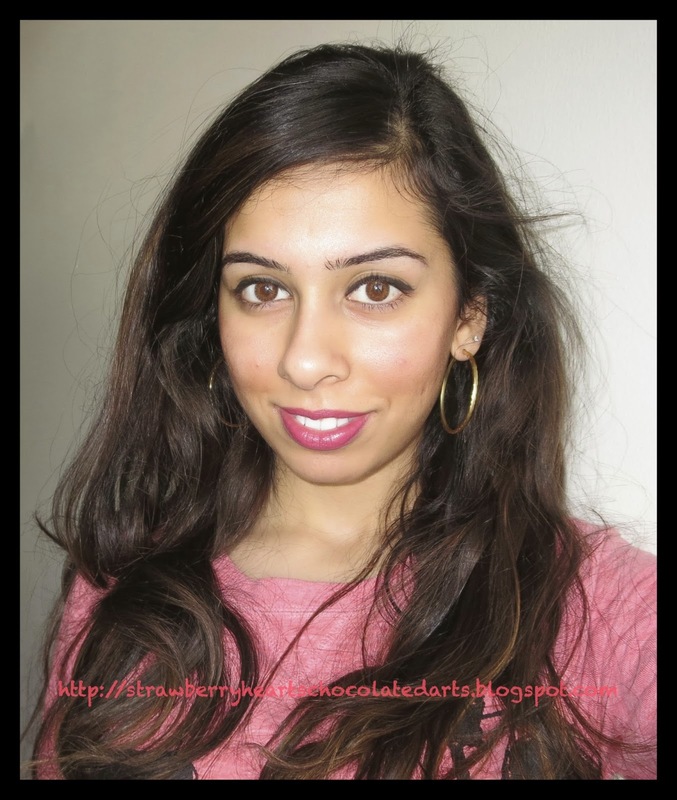 Being a beauty blogger forces me to experiment with a wide range of colors and shades. However, certain colors are simply not ideal/flattering for my complexion, skin-tone, and/or natural teeth color. I love bright shades that are so trendy at the moment, but I love them on others, not on me. 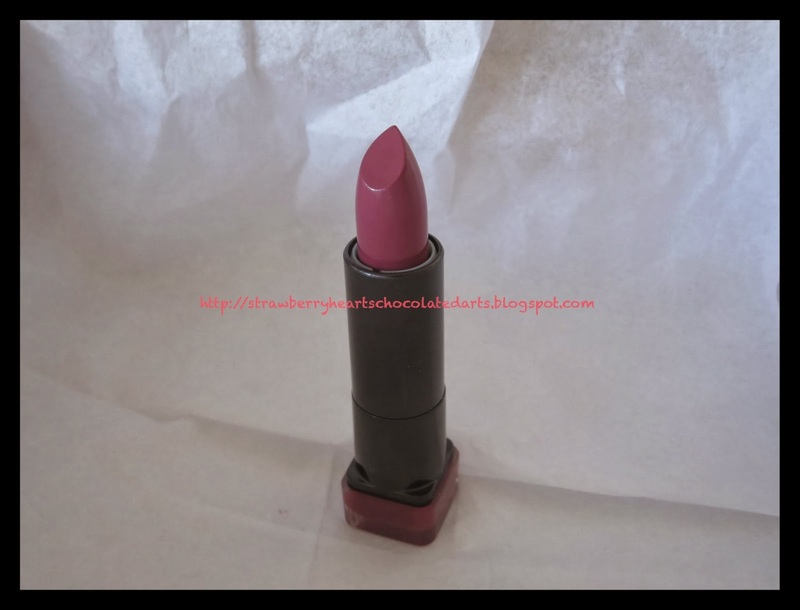 The formula is creme, but I appreciate that the lipstick does not feel thick. The lipstick feels nice when I am applying it. It glides on smoothly and one layer packs on a lot of pigment. Although the lipstick glides on smoothly and feels lightweight, my lips look very slightly dry. So, on my lips this shade look like a semi-creme/semi-matte hybrid. My lips are not chapped or dry, but have natural lip lines and look a bit parched, which water and lip balm takes care of momentarily. This lipstick has good staying power. 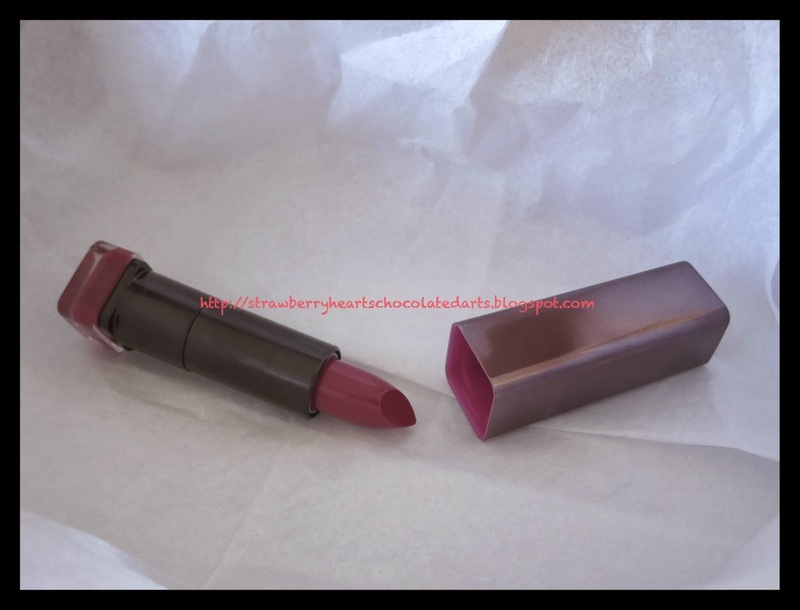 Above I mentioned that the formula of this lipstick is creamy matte, so even if it wears off a bit after I eat, it leaves behind a natural reddish pink tint. Don't worry ladies this one does not completely wear off on the coffee mug or is not entirely consumed with a meal. Wow, bombshell! I think you might like Delicious more, so stay tuned for that post. Colors like this one look simply stunning on you!! It goes really well with you skin, and I think you already have a great knowledge of what works and what doesn't on different skin tones. You are always really on target with tat! !